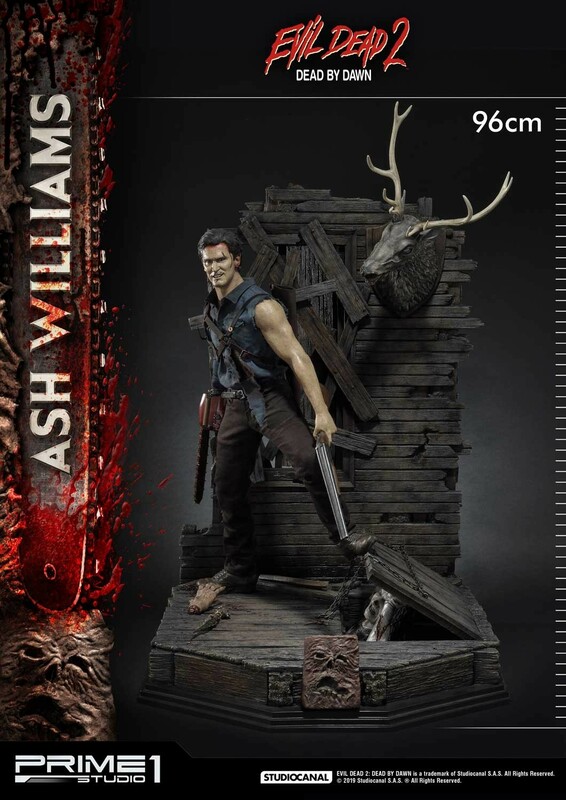 Prime 1 Studio has opened up pre-orders for their upcoming Evil Dead 2 – Ash Williams 1/3 Scale Statue. The statue stands at 38″ tall. The statue features a full diorama base, themed after the cabin in the woods from the film. The dio features the haunted deer head, and Henrietta popping up from the basement. 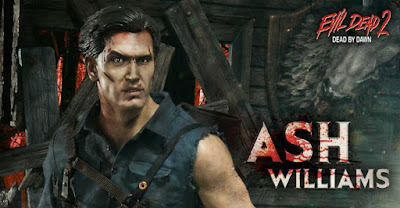 Ash is portrayed with a boom stick in one hand, and a chainsaw in place of the other. 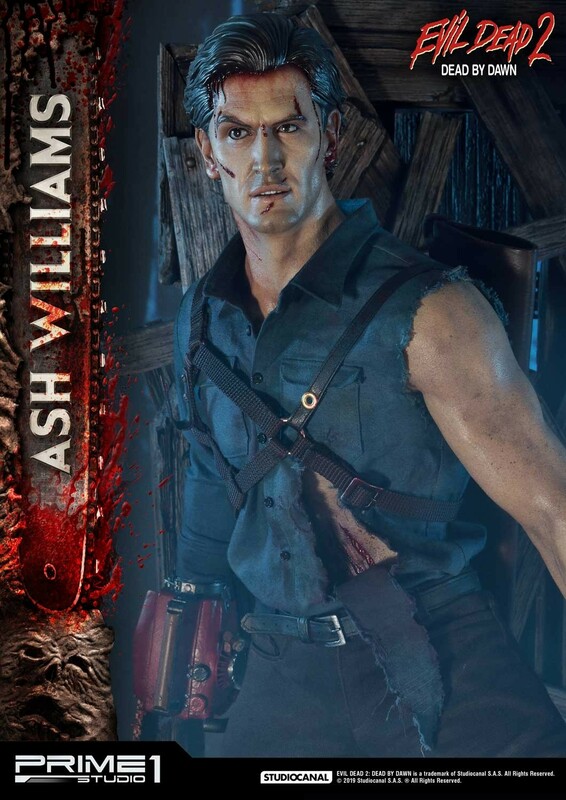 Ash will include a set of interchangeable portraits. Prime 1 will have an Exclusive Version with an additional portrait. The statues are due for release between June and August of 2020.